If your typical thirst-quenching drink is soda, it's time to reconsider your beverage choices. The Harvard School of Public Health reports that sweetened drinks play a significant role in the obesity epidemic in the United States, noting that a 64-ounce soda can contain nearly 700 calories. 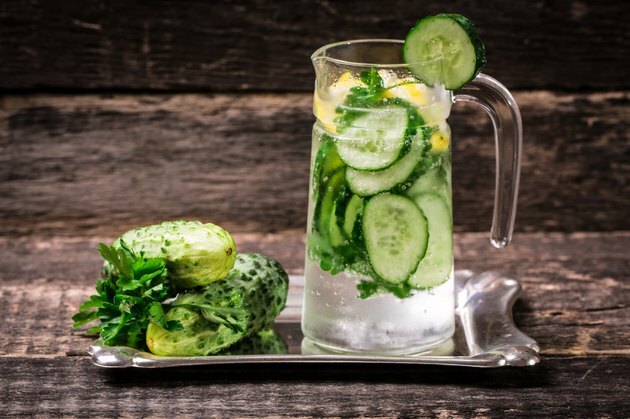 A healthy alternative is water, but getting used to the plain taste of water can be a challenge. Instead, add a small amount of lemon juice to give this low-calorie drink some flavor. Whether bottled or straight from the tap, water doesn't contain any calories. The exact number of calories in your lemon water depends on how much lemon you add. Juice from one wedge of lemon contains just 1 calorie. If you don't have fresh lemons, a quarter-tablespoon serving of bottled lemon juice also has 1 calorie. Regardless of how many glasses of lemon water you consume, doing so won't significantly boost your caloric intake for the day.